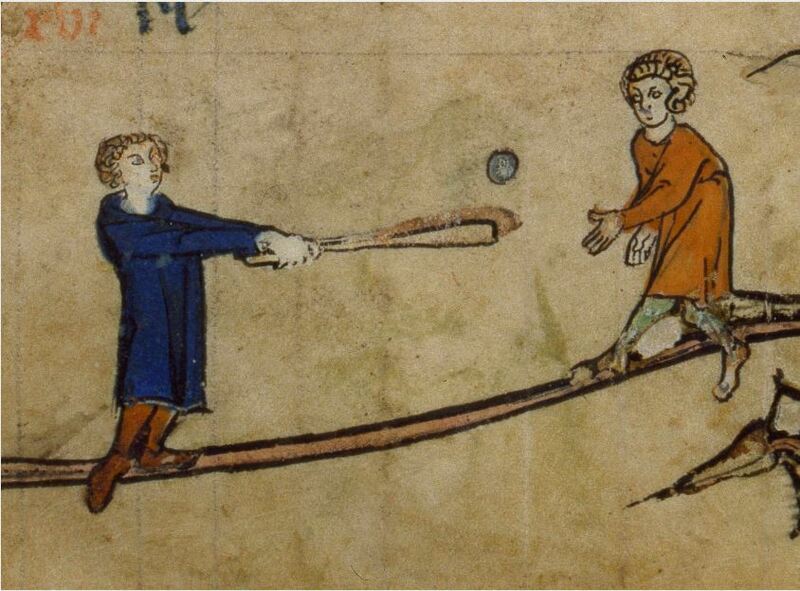 How Old is the Game of Baseball? Here’s an interesting manuscript illumination, now at the Walters Museum. Possibly made for John III, Lord of Ghistelles and Ingelmunster, (d. 1315). Ingelmunster is in the Belgian province of West Flanders. That bat certainly has a similar shape to the one that we are familiar with!